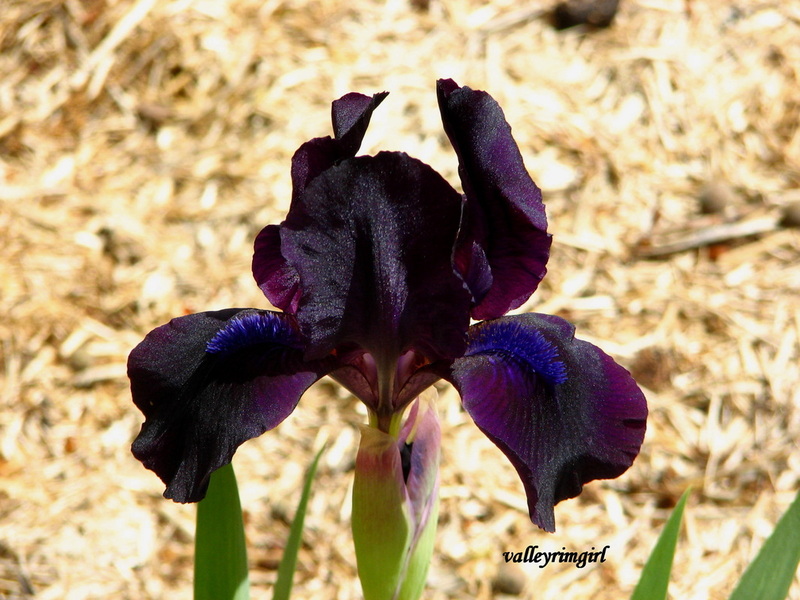 Ruffled very dark purple self. 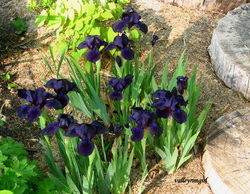 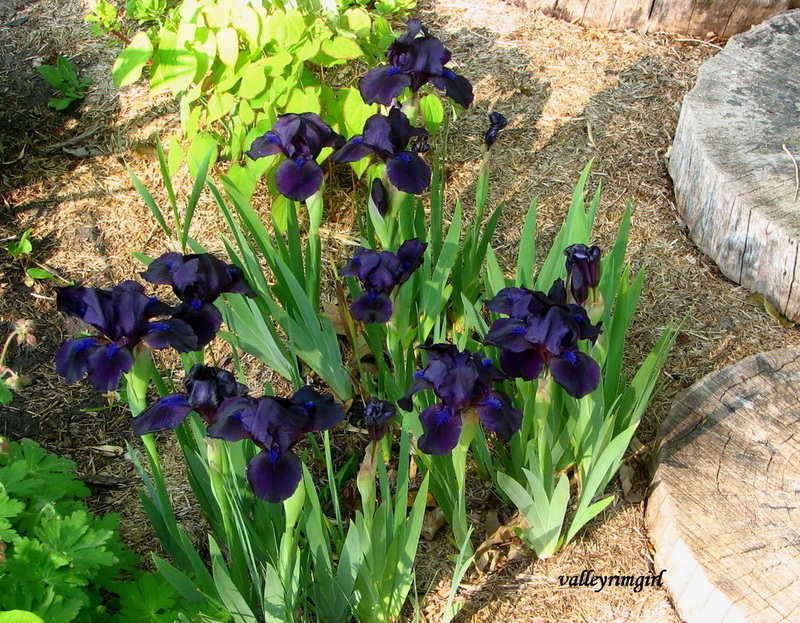 This iris is very very dark and hard to take a picture of because of its coloring. 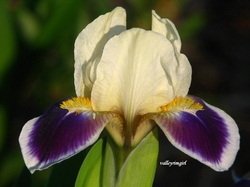 Standards and style arms white. Falls - deep purple spot with 1/16" white rim and white around ochre yellow beard, haft washed yellow. 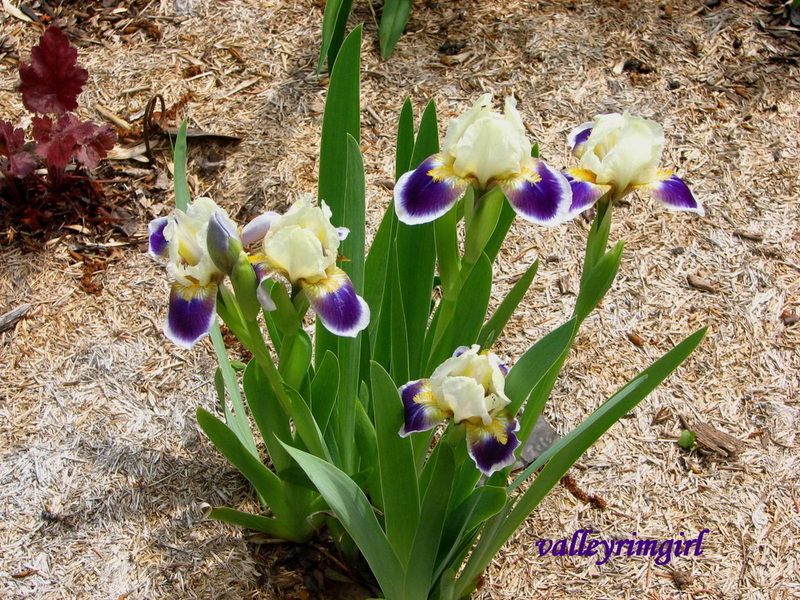 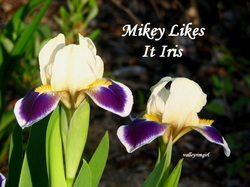 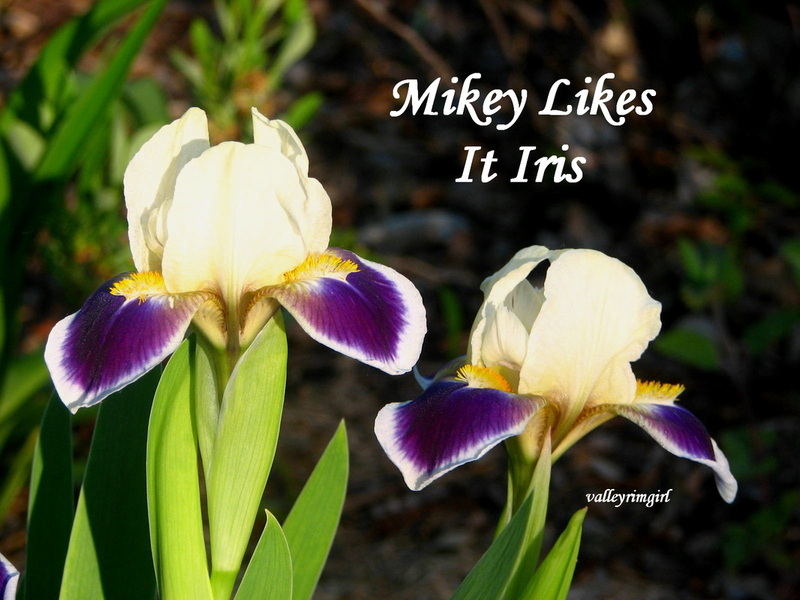 This iris is so distinctive that you see it from a long ways away.